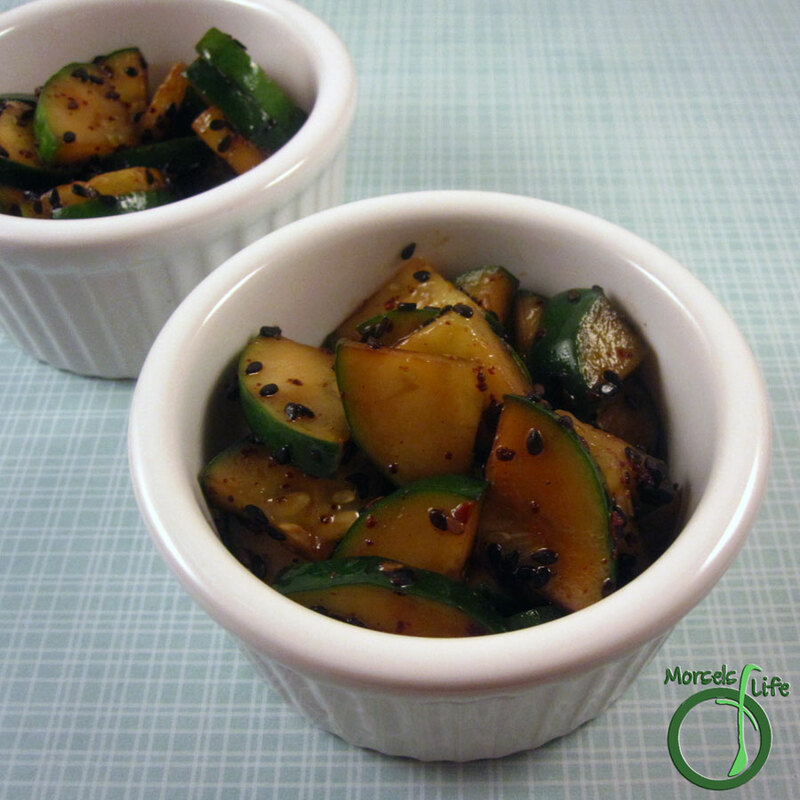 Refreshingly cool and savory cucumbers flavored with sesame and just a bit of chili pepper flakes. It's time for the Secret Recipe Club again! The SRC is a not so secret club where you're secretly assigned a blog every month to choose a recipe from. This month, I got Little Bit of Everything. Julie's got lots of tasty eats - Bubble Up Pizza, Basil Pesto Chicken, and Five Spiced Chicken Breasts with Hosin Sauce, for example. 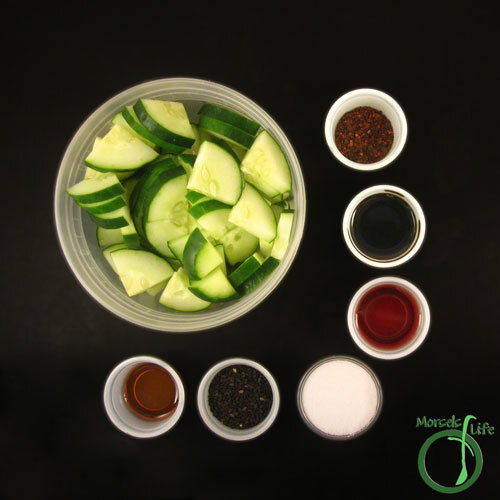 I chose to make the Chinese Cucumber Salad. With the hot summer weather, who doesn't want a refreshing side or snack? 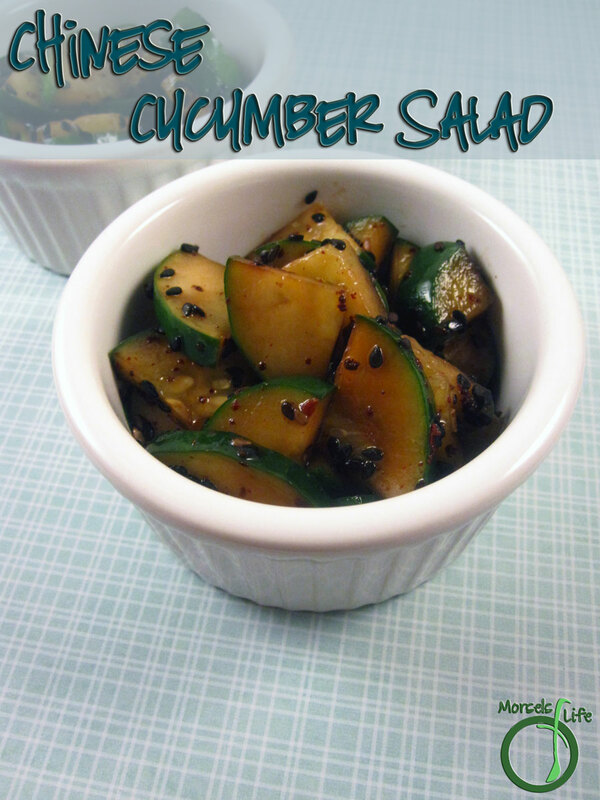 I've made a few different versions of this cucumber salad before, for example Seaweed Cucumber Salad, Sesame Cucumber Salad, and Sweet and Tangy Cucumber Salad. One difference I noticed with Julie's recipe was soaking the cucumber in a brine solution first. So, I thought I'd try her version and see what the difference was. All in the name of experimentation! Honestly, I'm not sure if I'll use the brine next time. Aside from just taking a while, it made the cucumbers really salty. If you go with the brine soak, I'd recommend rinsing the cucumbers really well afterward and decreasing the amount of soy sauce used. However, aside from the saltiness, we really liked this cucumber salad. The bit of chili pepper played well against the coolness of the cucumbers, and the sesame added just a bit of nice flavor. 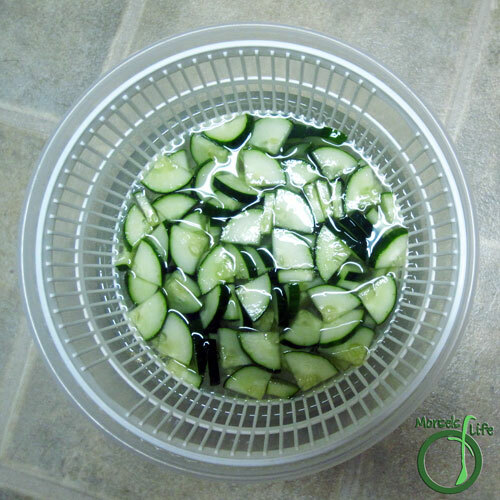 Do you usually soak your cucumbers in brine first or just go straight to adding the sauce? Which do you prefer? Combine all materials and mix. 3. Combine all materials and mix. I love cucumber salads like this. And with a cucumber plant in my garden that has a gazillion blooms, I'll be making this one as soon as I my kitchen counter is full of cucumbers. Great SRC choice. 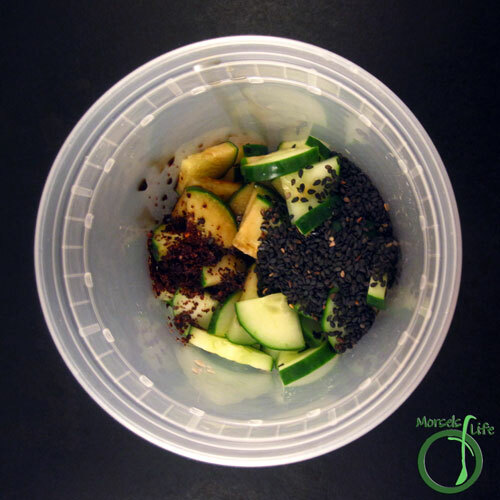 We have a great cucumber harvest right now and this is a great recipe to try, it is just packed with flavor. Hope you have a great week. Such a unique and different variation of cucumber salad! Great SRC choice! It is cucumber season and this is the perfect recipe to use them up. How fun we both had each other for SRC. I love this recipe, we make it all the time. I think the salt soak helps with the crispness.